The national Interstate Highway System was built more than 50 years ago as a brand new set of roadways. 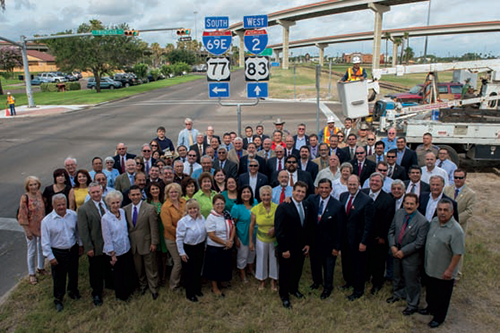 Completing I-69 from Michigan through Texas will be achieved differently. Instead of simply building new roads, I-69 will be developed as a series of improvements using existing highways as often as possible. Completing all sections of I-69 will take time. 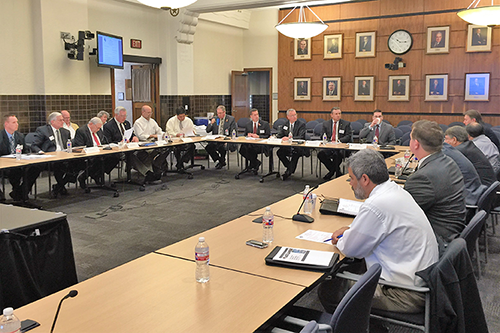 This is an ambitious project, but one that is needed and will be beneficial to future generations of Texans. Each community along the I-69 route has its own transportation needs and challenges. 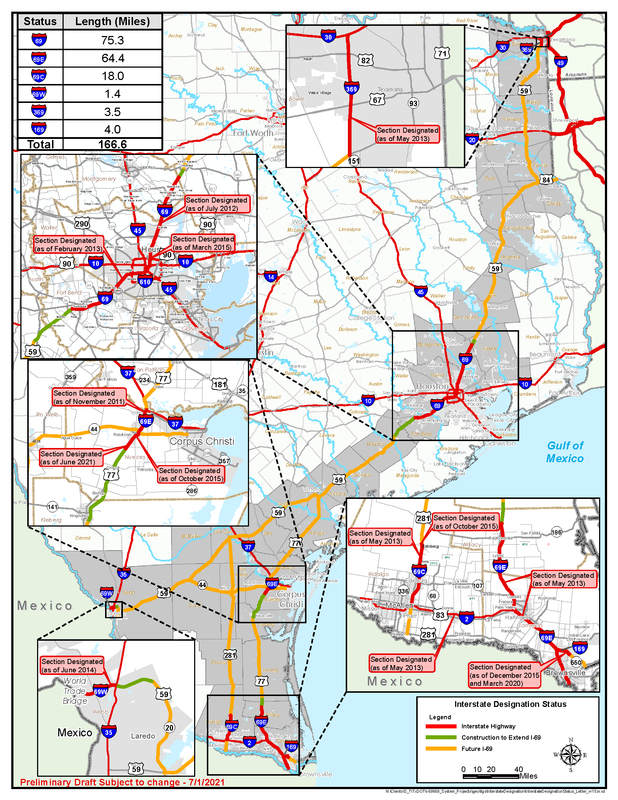 In Texas, the route for I-69 includes portions of the following existing highways: U.S. 59, U.S. 77, U.S. 84, U.S. 281 and SH 44. Learn more about the future I-69 projects in your area. 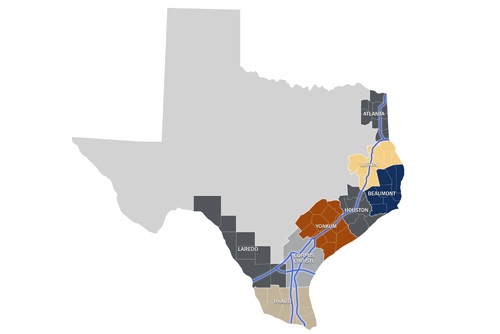 In March 2008, the Texas Transportation Commission approved Minute Order 111294 authorizing the creation of an I-69 Advisory Committee. Learn more about how selected highways will become part of a designated interstate and which ones are officially part of I-69.